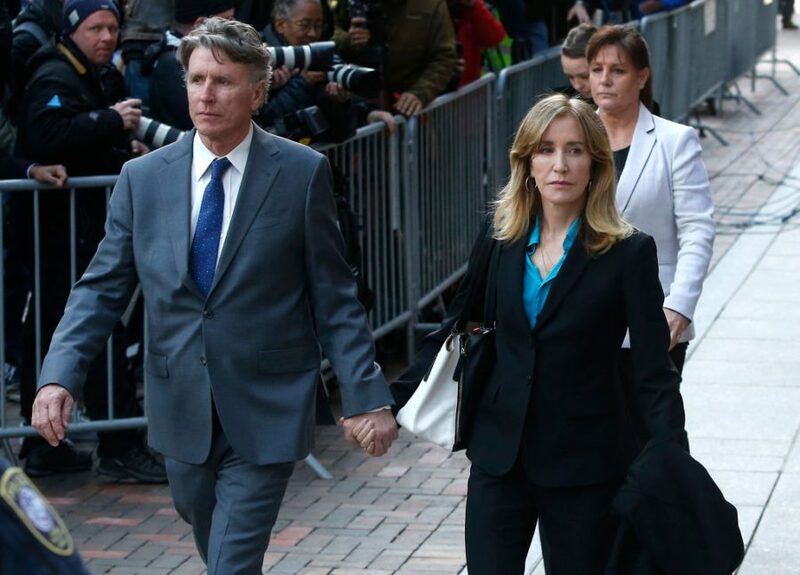 Felicity Huffman has pleaded guilty in the college admissions scandal: "I am in full acceptance of my guilt"
Felicity Huffman and 13 other defendants have pleaded guilty in the high-profile college admissions cheating scandal, PEOPLE confirms. In a statement released on Monday, April 8th, the Department of Justice says that the Desperate Housewives star is one of 14 defendants who have opted to plead guilty. In a statement obtained by PEOPLE, Huffman took responsibility for her actions. “I am pleading guilty to the charge brought against me by the United States Attorney’s Office,” she wrote. “I am in full acceptance of my guilt, and with deep regret and shame over what I have done, I accept full responsibility for my actions and will accept the consequences that stem from those actions. I am ashamed of the pain I have caused my daughter, my family, my friends, my colleagues and the educational community,” she continued. “I want to apologize to them and, especially, I want to apologize to the students who work hard every day to get into college, and to their parents who make tremendous sacrifices to support their children and do so honestly. The plea comes five days after Huffman appeared alongside other wealthy parents—including Lori Loughlin— in U.S. District Court in Boston for the first time since they were accused in March of allegedly taking part in a $25 million scheme to get their children into top colleges. During their preliminary hearings, they were read the federal felony charges they face after their arrests in March: conspiracy to commit mail fraud and honest services mail fraud. On March 12th, the U.S. Attorney’s Office in Massachusetts announced that it had charged 50 people, including Huffman and Loughlin, in the cheating scandal. The two actresses, along with coaches, admissions counselors, parents, and Laughlin’s husband, fashion designer J. Mossimo Giannulli, were indicted on charges of falsifying SAT scores and lying about applicants’ athletic skills, among other alleged crimes. Prosecutors alleged in a criminal complaint that Huffman paid $15,000 to admissions consultant William “Rick” Singer and his nonprofit organization, Key Worldwide Foundation (“KWF”), which prosecutors said was actually a front for accepting bribes. Singer then allegedly facilitated cheating on Huffman’s daughter’s SAT test by having a proctor correct the teen’s answers after the fact. Huffman discussed the scheme in a phone call with Singer that was recorded by investigators. Monday’s Department of Justice statement does not give any information what sentence Huffman or any of the other defendants might face.